Until Sunday 10th January 2016. 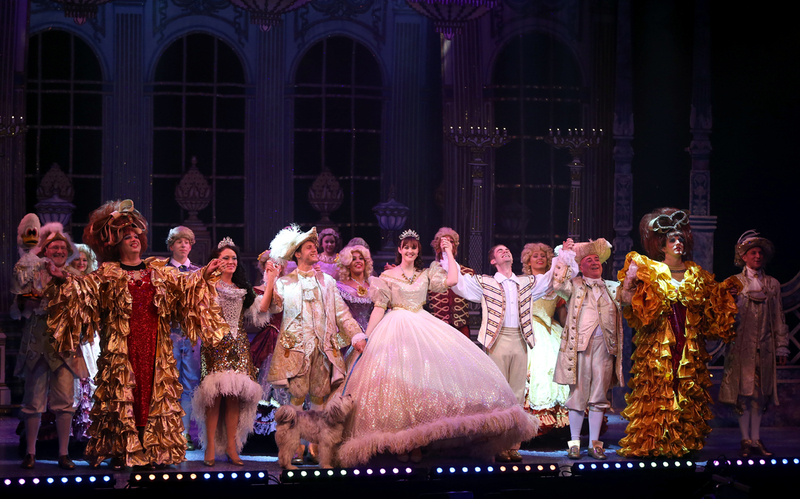 The Darlington Civic crowd left with smiles on their faces as Cinderella’s coach rolled into town. 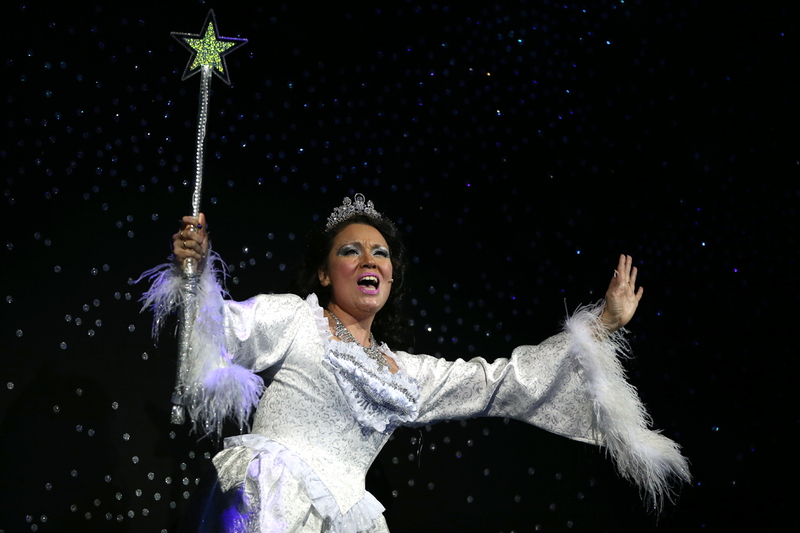 Cinderella is looking for love in this classic pantomime. She is being bullied by her ugly step sisters but she has a friend in Buttons. Meanwhile, over at the palace, the local Prince is looking for someone to marry who wants him for his personality rather than his status. 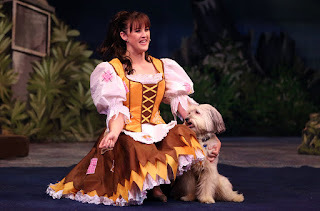 Cinders is performed by Ashleigh Butler who appears with her amazing sidekick Pudsey the dog. The star, who came to fame when she won the 2011 tv show Britain’s Got Talent, is very comfortable as the centre of attention. Pudsey gets a number of opportunities to wow the audience and he never put a paw wrong. 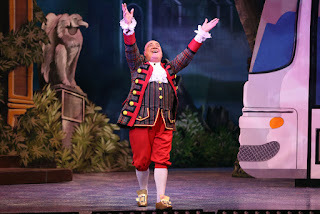 Cinders Dad, Baron Hardup, is performed by Channel 4 Coach Trip’s Brendan Sheerin, who was clearly enjoying the role. He put a few coach references into the routines but they’d be lost on anyone not familiar with his tv show. 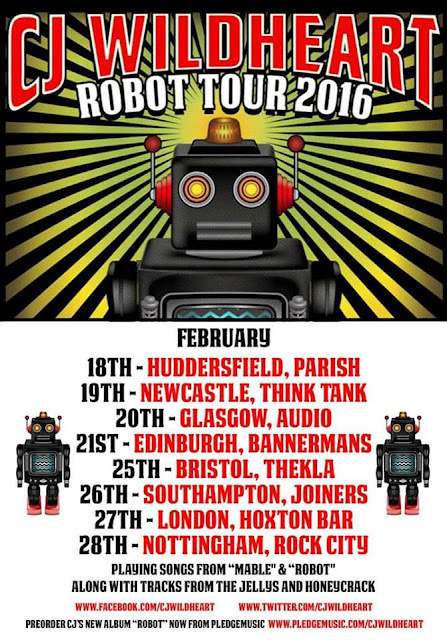 Providing the singing talent was X-Factor semi-finalist Niki Evans. Niki was both glamorous and charming as The Fairy Godmother. Her singing was one of the highlights of the show. Buttons can be a tough gig as you have to narrate the story and orchestrate much of the audience participation. 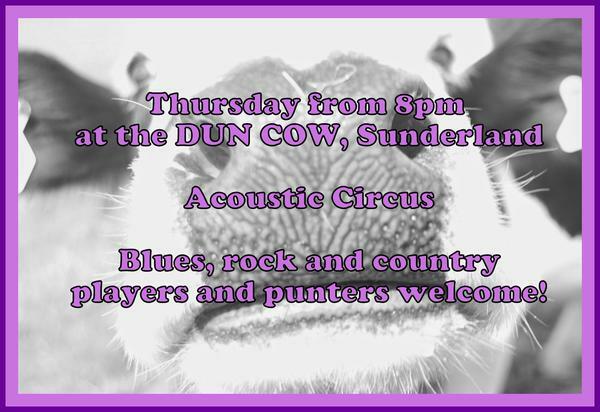 All round entertainer Matt Edwards uses his talent to get the audience to take part. He has a lot to offer the show and it seems a shame he didn’t do a few more tricks in the context of the show. Alastair Hill has a chance to show off his singing ability as Prince Charming. 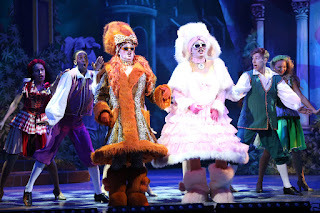 He plays the role well and he is a suitable romantic target for Cinderella. Wayne Smith completes the double act as his servant Dandini. 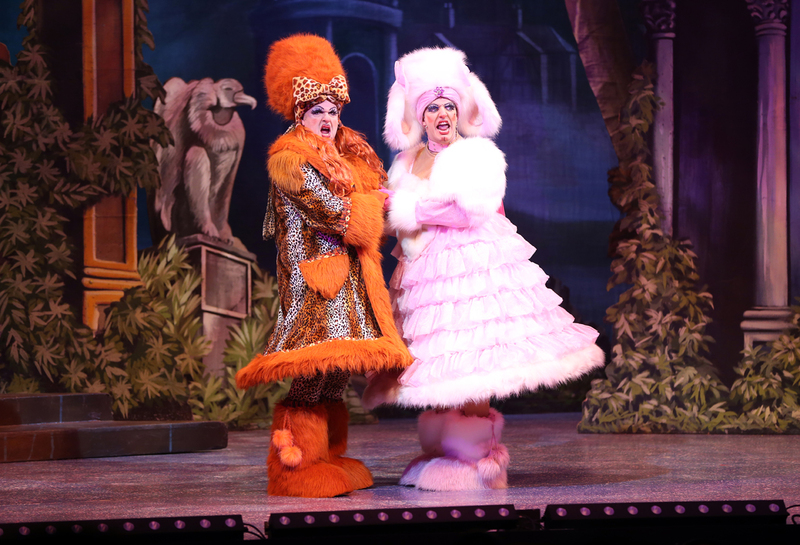 Completing the line up of principal performers are Phil Corbitt and Danny Potts as the Ugly Sisters Mel & Sue. They were suitably grotesque. Their dislike of Cinders was made apparent without being too nasty. The audience were happy to boo whenever they came on. They had numerous bright dresses to wear which helped them to stand out whenever they were on stage. There are some great scenes in the Andrew Ryan directed show. Prince Charming serenading Cinderella in the forest with Buttons playing gooseberry was wonderful fun. The 12 days of Christmas was another fabulous comedy routine. The show has a really talented dancing ensemble who never missed a step. The dancing routines are completed with the lovely Joanne Banks Dancers. 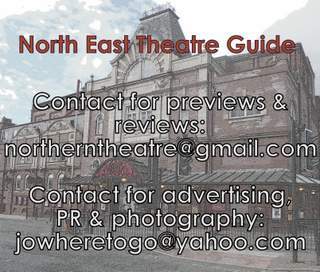 Unlike many North East pantos the show comes complete with a live band, who had their work cut out, especially on the 12 days of Christmas. At 2 hours, it does not over run. 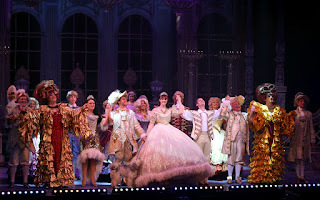 Cinderella got the thumbs up from our 12 year old son who loved it. It is a traditional mix of love story, slapstick and songs.